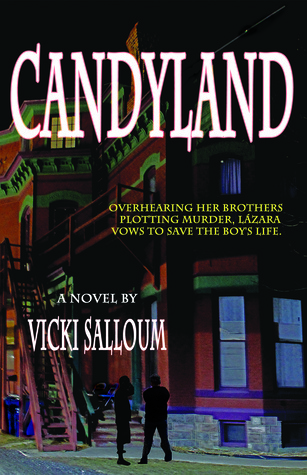 Vicki Salloum’s latest novel, Candyland is set in New Orleans in the aftermath of the Hurricane Katrina disaster. One of the two central characters, lawyer Eric Hutching, is representing a client charged with shooting an unarmed looter during the crisis. 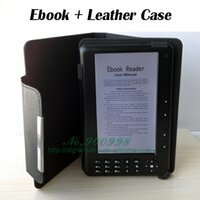 The accused, a former police officer, is a respected, well-educated family man. Eric is working long hours on his defence, knowing that this case, which is receiving national attention, will be of immense help in “making his way back” in his profession. A recovering alcoholic and gambler trying to re-establish himself, Eric got the case through his relationship with the cop’s sister, Ruby. Lazara Soto, a seventeen year old high school graduate of Puerto Rican descent, is the co-protagonist. Ever since she learned of her family’s criminal activities, she has vowed to get away from them. Her parents have a crystal meth lab in an abandoned house, and her two brothers, Delmar and Jacoby, peddle the family product, inviting teens to sample the highly addictive drug and get hooked. She leaves her job in a bar to apply for the clerk position that Eric Hutching is advertising. Observing the courtroom scene, Lazara’s sympathies are at first with Eric’s client, because she thinks the looter, whether armed or not, was “one more no good punk” like her brothers. Via the testimony, Salloum presents a chilling picture of what happens when law and order break down during a disaster. Lazara and Eric are both desperate to change their lives and one can see, at the outset, that they could join forces and help each other, but because of the family complications each faces, they part company prematurely. Lazara is present when Eric’s fifteen year old son, Nick, comes to his office to ask for $1,000. At first she thinks badly of Eric for refusing his son while giving money to his mistress, Ruby, who, in Lazara’s view, dressed and acts like a “ho.” Later, overhearing her brothers’ plans to “take out” a customer who hasn’t paid for his crystal meth, she figures out that the client is Nick, and warns Eric that his son is in danger. Eric summons Nick to his office, questions him, believes him when he says he’s not on drugs or in trouble, and turns on Lazara, firing her on the spot. After family quarrels in which she is subjected to Delmar’s violence, Lazara decides to bring their criminal careers to a halt. The result is a dramatic climax in which Eric tries to redeem himself and Lazara’s actions bring disastrous consequences. Both main characters do much soul-searching. Near the end, Lazara thinks that she condemned everything about her family without trying to see goodness in them, especially Jacoby. The final outcome is predictable and too drawn out. Some scenes convey information that has already been established or that readers can figure out. These narrative flaws are outweighed, however, by the characters, who are multi-faceted and “round” in the E.M. Forster sense. Salloum has excelled in evoking the Katrina disaster and in depicting a criminal sub-culture. The action keeps readers alert, and the New Orleans landmarks will interest those who lived or have visited that city. Candyland has been described as a “noir” suspense thriller, and it is that, but it is less pessimistic than Salloum’s earlier novel, Faulkner and Friends, and reaches a satisfying conclusion.